2017 – A year to remember. 2017 has been an incredible year, instead of doing a blog about what has passed, I decided to edit my ‘about me’ post and turn it into a blog. It puts things into perspective for me and will perhaps give more insight as to what spurred me to do what I do, why I do it and why it’s so important to me. When I was very small, I crawled to catch anything that moved. Nature was the source of all wonder and curiosity to me. Every screech, squawk, flicker of wing, wriggle, buzz and hum; filled me with a desire to learn more and now that I can understand it, feel connected to a world which was overwhelming and confusing. I was ‘diagnosed’ with Asperger’s when I was 5. Life was isolated and difficult, I struggled a lot because beyond my front door my way of seeing the world was not ‘the norm’. Nevertheless, my parents celebrated me for who I was and encouraged my passions and my ‘unique way of being’. Back then, people said I was in the grip of an ‘obsession’ but that is a separate thing. Nature is as big a part of me as my own heartbeat – it governs the beat of the best part of me. Living in Belfast was a yelling cacophony of piercing noise. Everything about the constant buzzing was a struggle for me, I couldn’t fade out the noise to hear what mattered. The birdsong was sullied by airplanes, the relentless traffic; you couldn’t escape it, even when you tried. My parents did try but we were all feeling the pressing down of a busy life. I had already been in two primary schools, relentlessly bullied and I felt pretty confused almost all of the time. I found it difficult to cope. Life passed me by without any opportunity to find people who liked the same things; I was trapped in my own world – with no map to guide me. No places to feel free in. One day, I plucked up some courage. I tried to find out local information on wildlife and places, but most of it was just directional. It wasn’t from a perspective. There were no young voices that I could find either, as I looked for people to learn from, I saw a gap. 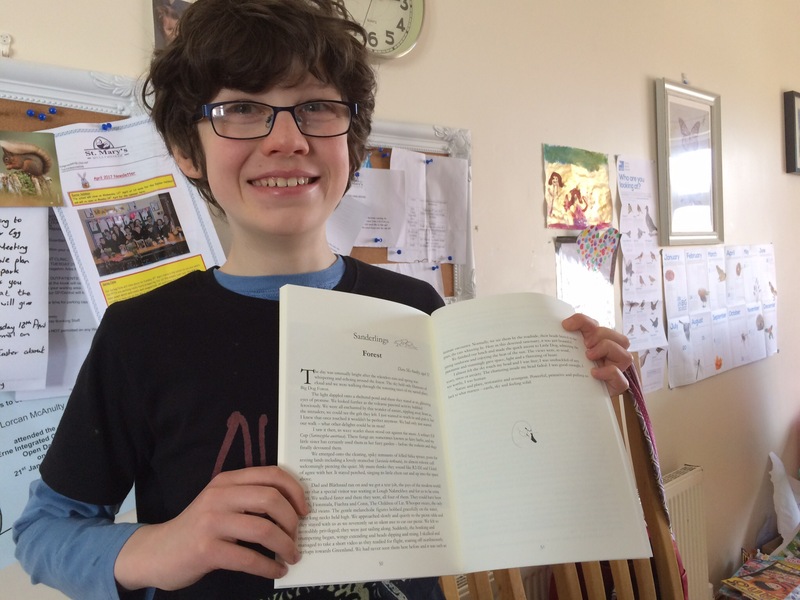 I saw blogs from other young naturalists but none from the island of Ireland at all! I was astonished. I thought people might like to hear my thoughts, but mostly I wanted to have a journal of sorts, where all my collection of days and moments could be in one place. A place where I could express myself and feel a freedom to ‘speak’, a freedom which life couldn’t quite give me, in real time, because I find conversation is not really something I’m comfortable with. . Mostly though, I wanted to show off this place that changed me and gave me the freedom to explore and learn. I wanted to show myself, so that I could hopefully learn from others and enter a new world. I never imagined it would turn on the axis it has! I started my blog in June 2016 and I have been overwhelmed by the reactions to it, from the wider world! I’ve met some wonderful people and have had extraordinary opportunities. I feel that none of these opportunities would have happened, if it weren’t for Twitter. This social media platform is abundant with amazing people – you have all helped me so much! When my Advent blog post for A Focus on Nature (I wrote it about inspirational people – for me, my mum and Chris Packham) was awarded the best post in January 2017, I started to write in a new style, a more personal and descriptive one and I’m really finding more clarity and strength in doing that. 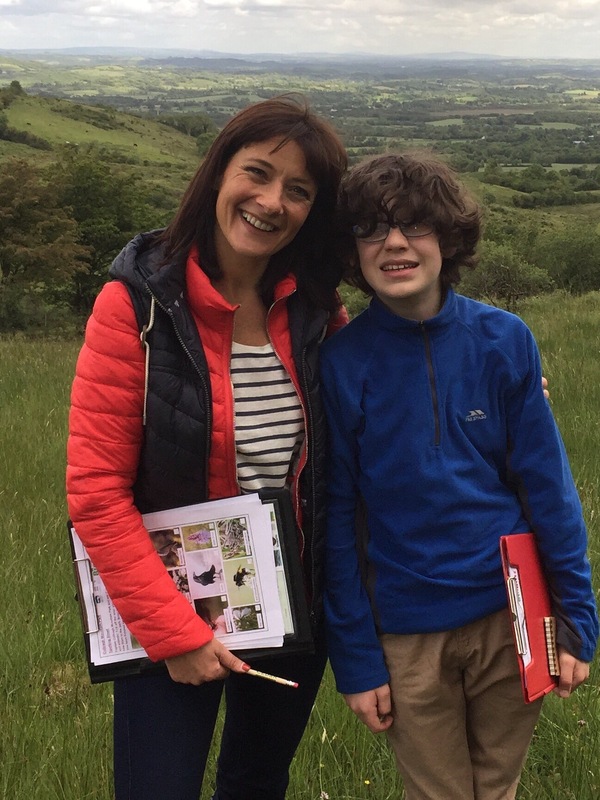 In June 2017, my blog won the youth category for the Wildlife Trusts 30 Day Wild campaign – sharing this with my brother Lorcan and my sister Bláthnaid was really special. I have pushed myself to the limits of my comfort zone this year, doing things I was literally scared to death of doing…palpitations, and actually feeling sick…talking to people, experiencing places, people and situations I felt overwhelmed by. I want people to know though, that those who are Autistic can achieve things – in a nurtured environment, in a society where acceptance and not tolerance, is the norm. If any autistic people are reading this – that the anxiety will get better, the more freedom to be you – you give yourself – especially if it’s related to something you love and feel passionately about. People don’t realise how hard we have to try, how much we have to keep at bay, process, faze out. The excruciating pain of trying to control our out of control brains; to do ‘difficult’ things, it’s really tough but you know, it can be done – Chris Packham is testament to this. We shouldn’t have to try so hard though, if we lived in a non-judgemental world where everyone’s voice was equal, cherished…where ‘quirks’ are just simply part of who we are! 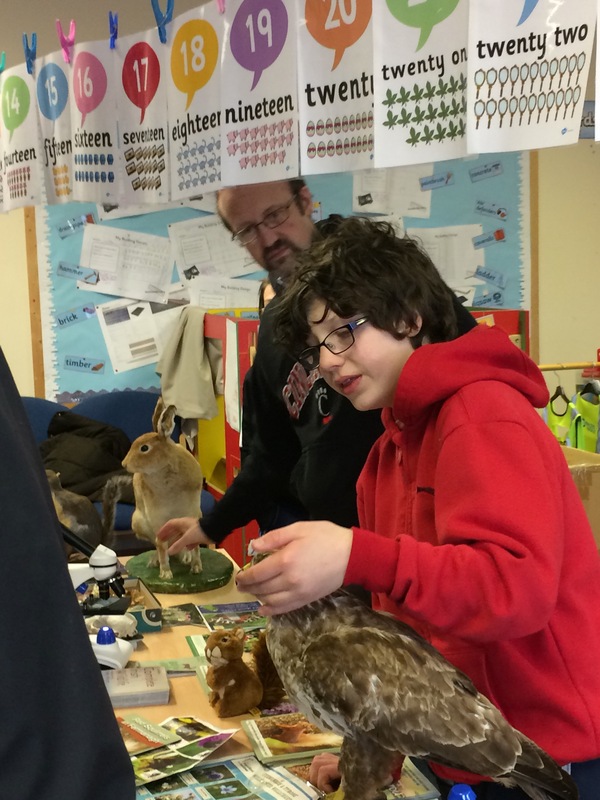 During this year, I have been a volunteer with my local Red Squirrel Group recorded sightings and monitored Hen Harriers with Northern Ireland Raptor Study Group and I have organised wildlife awareness displays for schools and organisations -the first time I did this, I had to breathe into a paper bag but the need to raise awareness overcame the fear I felt and it was empowering. I then wanted to do more and more! June 2017 was a very busy month. I was awarded the BBC Springwatch Unsprung Wildlife Hero Award, travelling to the set at Sherborne Estate to pick up my award; what an amazing experience. The highlight…when Chris Packham said I was his ‘hero’ too. Chris is my hero, no one else has the vision he does and he teaches me so much every day. Later that month I also filmed for BBC Northern Ireland’s ‘Homeground’ – to promote my local area and its biodiversity. Now, that was another brown bag moment! If you knew what to look for, you would see me clench my muscles so tightly, to keep control, to block out everything else except what I have to concentrate on. I did it though, because of the clarity of my passion. I needed a dark room and some Harry Potter (actually, a lot of Harry Potter – those books have been the rescue of many a dark moment!) afterwards, but I did it. 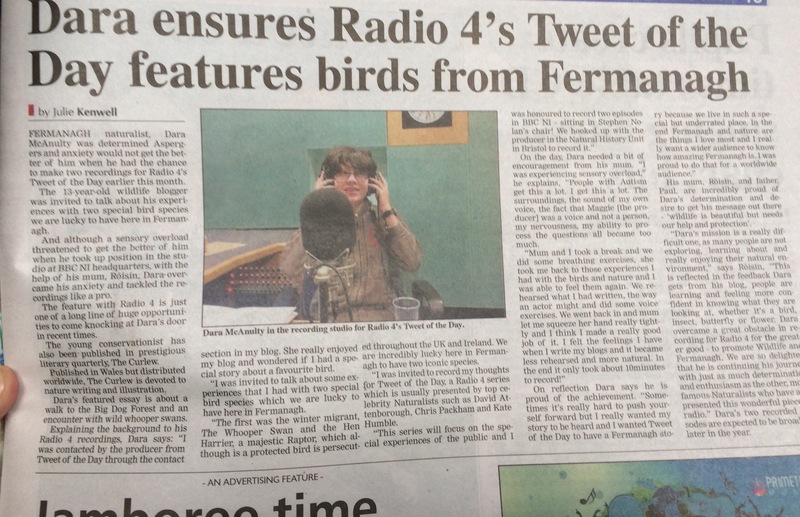 I was extremely honoured to receive an invite from and record two BBC Radio 4 ‘Tweet of the Day’ programmes – one in particular to raise awareness of the persecuted Hen Harrier – I nearly didn’t go through with that either! There’s a funny pattern here – overcoming fear and anxiety, keeping clear the goal you want to achieve. Having my writing published by The Curlew, New Nature, Wader Quest and Ulster Wildlife was such an honour too. I love writing so much, it is becoming a big part of my way to communicate. Speaking at Hen Harrier Day Northern Ireland in August 2017 was such a momentous experience – it was the first time I’ve spoken passionately in front of a crowd. Being around so many like minded people was really life-affirming but also overwhelming. During the last throes of summer I travelled to Birdfair to volunteer with Birders Against Wildlife Crime. It was so brilliant to do this because when I become overwhelmed my brain sort of blanks out – but when my brain is stimulated by good things happening, it fills me up and I become extraordinarily concentrated and therefore, happy! It’s hard to explain this – but surrounding myself with like minds and positive action, have strengthened me and decreased feelings of sensory overload. I am feeling more joy than ever before. I met some brilliant people at Birdfair, meeting up with people I had just communicated with online, I had a lot of fun. In November, I gave my first talk for Ulster Wildlife’s Grassroots Challenge celebration night (with Simon King! ), before I stood up to speak, I felt not stress, but so much love for the things I am passionate about. I stood up and I spoke and I sailed free. Every time I complete something new, it gives me hope, that I can achieve my dreams. It ignites my passion further and gets me closer to meeting my goals – to be a conservationist and an advocate for nature. Thank you so much to Ulster Wildlife for all their kindness and support, they have been right behind me from the beginning! I have an announcement coming soon about some other work I’ll be doing with them. I’m incredibly excited and nervous! Writing about Aspergers (or just my way of seeing the world) and how nature has helped me cope with my challenges and differences is really important to me because through the rays of positivity, I have intensely gnawing doubt and perfectionism – shouting above it stops me from drowning. My experiences have been mostly amazing and life affirming. However, I’ve also been bullied online, isolated and made fun of – it won’t stop me though. Instead, I hope to further grow and spread the message of environmental awareness, local biodiversity and conservation through my writing and campaigning in the future. I hope to keep going and pursue the things I love, because it is who I am. It feels so important to me. I couldn’t do all of these things alone. I’m lucky to have amazing people who support and mentor me. I would be lost without their knowledge and understanding. Special thanks to my wonderful family, Chris Packham, Eimear Rooney, Emily Joáchim, Abi Elphinstone, Mark Avery and Robert MacFarlane, for guiding me through – and to all of you; readers, encouragers and especially those who motivate me to do more and better! Thanks also to all the young naturalists and conservationists who inspire me and decrease those feelings of isolation that we sometimes feel – as young people with specialised interests. It sometimes exasperates me that not enough people care, but I’m moving away from that way of thinking, those feelings only disempower us to give up – and I have no intention of doing that! One big positive about being Autistic? We never give up, we keep going until the job is done. Protecting nature will never be done, so I need to keep going. One of the things I am most proud of this year, is raising money for a very special project. As of today, 31st December 2017, I have raised over £4,000 to satellite tag raptors. I shyly presented the idea to the Northern Ireland Raptor Study Group and we/you are making it happen. I’ll be walking over mountain and upland in January 2018 to complete the fundraising and later in the year, birds will be tagged – to help against persecution, to help science and conservation. That will be a wonderful thing. Looking back, I almost feel that this has all happened to someone else and then the realisation comes. As I write, these words are me, on a good day…when I’m not overpowered – on those good days, I try to do all the good things, so I can look back and know that I tried my very best. One day, I hope that the good days are so consecutive that I’ll almost feel like I’ve migrated somewhere exotic, like a swallow. That would be nice. Have a wonderful 2018 everyone! A Solstice Garden – magical, even in suburbia! Raising Funds For A Northern Ireland Raptor Satellite Tagging Project! Happy New Year and I hope 2018 proves as enjoyable and rewarding as 2017. 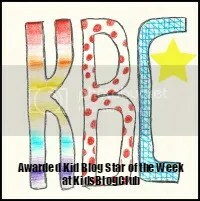 Your blog is making a difference and helping others appreciate the natural world around them and the miracles that happen every day in nature. You should be very proud of your achievements and how these have helped you grow as a person and develop confidence in your own ability. Thanks for your help with Grassroots and best wishes for 2018. Thank you so much, Jennifer! I’m so happy to be involved with Ulster Wildlife! Looking forward to meeting with The Grassroots Challenge Youth Forum next month. Happy New Year, Dara! Reading your thoughts of 2017 made me realise just how far you have come, and how much you have influenced the public perception of the natural world; a big thank you! I imagine 2018 will be even more exciting and your words and message will spread wider and wider like the ripples in a pond! Fingers crossed for good weather later this month! Enjoy the day. Thank you so much. I certainly hope so! Have a wonderful New Year. Hoping that you will achieve even more in 2018. Thank you LJay! Hoping you have a wonderful year, looking forward to more blogs from you. Dara, your blog and YOU are such an inspiration. All you have accomplished, in spite of your Asperger’s, (or perhaps, in partnership with it) is a beacon for others who might face similar challenges. As someone who’s dealt with crushing anxiety over the years, your words ring so true. Keep writing. Keep opening people’s eyes to the beauty of your land. You are making such a beautiful lasting difference in this harsh world. I look forward to following the arc of your career. Best of luck to you from icy Ohio, USA. Thank you so much! Wishing you all the best for the year ahead. Thank you for your reflections. I think what impresses me most is the way you’ve been able to identify what is most important to you and then choose to direct your attention towards it – no matter how much fear and anxiety it causes you. You might feel you don’t have a choice – but I think you do. I’ve know kids who don’t know what they’re interested in, and can’t or won’t make the effort to learn and achieve. Sometimes the fear overwhelmes them and they resist, withdraw, becoming people who say “no” to everything. You seem to be someone who says “yes”. You’re determination to work for the things you love is an inspiration. Happy New Year, Claire. Thank you! I think part of the problem – especially those on the autistic spectrum – is that kids are dumbed down. ‘Obsessions’ seem to be treated negatively instead of being harnessed for broader learning – at home and at school! If all that passion was turned into doing, I think things would really change for us. I’m lucky that my parents are incredibly patient and are always looking for ways to further my knowledge, even if they personally can’t facilitate it. The more they do for me, the more I’m learning, the more I am now doing for myself! I agree with you. Schooling is too often about meeting expectations and not about discovering and developing individual interests and talents. There is very little flexibility in the ‘system’ to allow for individuality. Your parents sound like they really understand you, and their support of your learning is so important. It’s great that you can reflect on what you’ve achieved and what you need – not everyone can do that. Happy New Year. You are an inspiring young man, may it continue for many years to come. Happy new year, Dara, and I hope 2018 will be a good one for you. You are inspired by a lot of people, and you inspire a lot of people in turn, so there’s a whole chain of inspiration going on! I know what it’s like to do something anxiety-inducing, and I admire you for doing it anyway for something you believe in. Thank you so much. Yes, I know you understand and for us, I guess, it’s harder to push yourself for something mundane or irrelevant 😉 Have a great year. Well done young man, what a great year!! You are a shining example to us all . If only more young people had your passion, commitment and inspiration, our countryside and wildlife would be in much safer hands. Keep up the great work and have a fantastic 2018. Thank you so much. Happy 2018 to you too. Happy new year Dara! What a year you had in 2017 – and all of those wonderful things that came to you were richly deserved. Keep going (and keep writing) one step at a time and you never know where the path of life will lead.